Summer training will start again on Wednesday June 6th at Hillhead Sports Club. 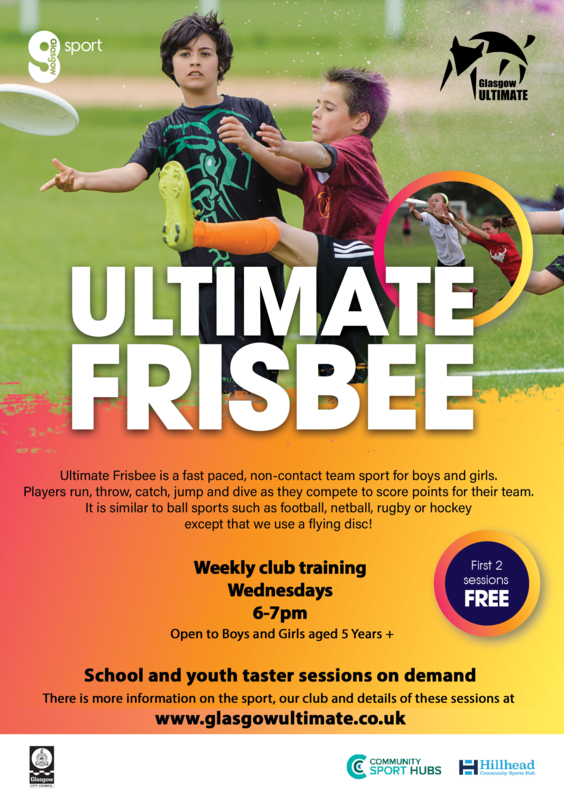 Email glasgowultimate@gmail.com or just come along, the first session is free! £10 annual membership, first session free! Training will be outdoors on a grass pitch. Can you give me more information my 10 year old nephew would like to join but has no experience ca I ask when the beginner class starts. Hi Teresa, sorry I have only just seen this comment. We are starting a fresh block of classes on October 25th, all the information is above and the sessions are open to all children regardless of experience. Thanks!